Let your creativity and sense of adventure run free! Spend a day in an indoor theme park filled with more than 3 million Lego bricks and unlimited building possibilities! Try out activities that people of all ages will enjoy inside this land of Lego! You can visit the Lego shop (filled with over 400 products) right next to the theme park! With this combo ticket, enjoy over a 36% discount when you visit Madame Tussauds Tokyo, located right next to LEGOLAND Discovery Centre Tokyo! Legoland has captured the spirit of adventure of millions of people around the world! 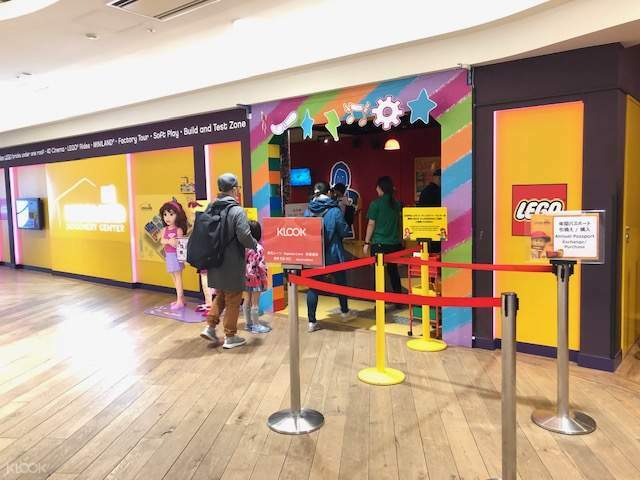 Legoland Discovery Center Tokyo opens its doors to bring you to an amazing world full of these colorful, interlocking building bricks. Upon arriving, have no worries when redeeming your ticket – simply go to the Klook exclusive skip-the-line lane and avoid the hassles of queuing! It's the perfect day for creativity, building and adventure especially for kids, fostering their creative minds and urging them to build and create. Considered as the Ultimate Indoor Lego Playground, you'll get to visit zones that allow you to build and play with the world famous bricks, and even get hop onto 3 of its amusement rides. Make a little city of your own in the Lego City Builder or see the world's capitals in miniaturized form in Miniland! Take a tour of the Lego Factory and see how the bricks are made or head to the Duplo Village, which is perfect for very young kids. 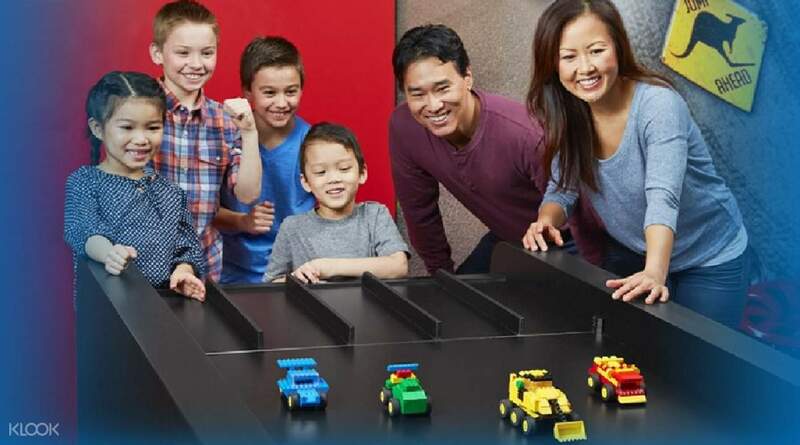 Build some Lego Racers and test them out on a track, or head to the Lego shop and bring a kit home for yourself. It's a world full of enjoyment and discovery with building bricks! Enter a world full of Lego and let your creative juices flow! Build and set your racers onto the track! See miniature worlds, all made entirely of Lego! this was a fun afternoon out for my miss 5 and master 9. we went to legoland whilst waiting to checkin to our hotel. the kids really enjoyed it. they liked the 2 little rides and the 4D theatre (even though it was all in japanese). my son particularly enjoyed building a race car to test on the race tracks. this was a fun afternoon out for my miss 5 and master 9. we went to legoland whilst waiting to checkin to our hotel. the kids really enjoyed it. they liked the 2 little rides and the 4D theatre (even though it was all in japanese). my son particularly enjoyed building a race car to test on the race tracks. Easy and no printed ticket required. Small area with a few fun activities for the kids. A good rest area for the adult folks. Test and build facilities were amazing. Satisfied half a day spent regardless of weather. Easy and no printed ticket required. Small area with a few fun activities for the kids. A good rest area for the adult folks. Test and build facilities were amazing. Satisfied half a day spent regardless of weather. Had no problem redeeming the vouchers on site - you just need to show the QR code to the cashier who will exchange it for Legoland tickets. This is a great deal considering that during the weekdays, the 1 parent + 1 child package can apply and is ¥3200 on the official site. You still save a fair amount which is nice. Actual attraction was worth the money - highly suggest checking the 4D movie. It is in Japanese but even my 3 and 5 year old nephews were able to get the gist. We easily spent 2-3 hours here, probably more if we didn’t have to leave so soon. Had no problem redeeming the vouchers on site - you just need to show the QR code to the cashier who will exchange it for Legoland tickets. This is a great deal considering that during the weekdays, the 1 parent + 1 child package can apply and is ¥3200 on the official site. You still save a fair amount which is nice. Actual attraction was worth the money - highly suggest checking the 4D movie. It is in Japanese but even my 3 and 5 year old nephews were able to get the gist. We easily spent 2-3 hours here, probably more if we didn’t have to leave so soon. The LEGO land is in the mall, the place is nice. The lining quite long even we are arriving in Monday. But we really have nice and fun experience there, I would recommend people with kids to visit the LEGO land. The LEGO land is in the mall, the place is nice. The lining quite long even we are arriving in Monday. But we really have nice and fun experience there, I would recommend people with kids to visit the LEGO land. Good deal! It's a fun place for kids. Not so much for adults though. Except maybe the Miniland, the miniature models of Tokyo landmarks were very nice and gives you an overview of what to see in Tokyo. Good deal! It's a fun place for kids. Not so much for adults though. Except maybe the Miniland, the miniature models of Tokyo landmarks were very nice and gives you an overview of what to see in Tokyo. 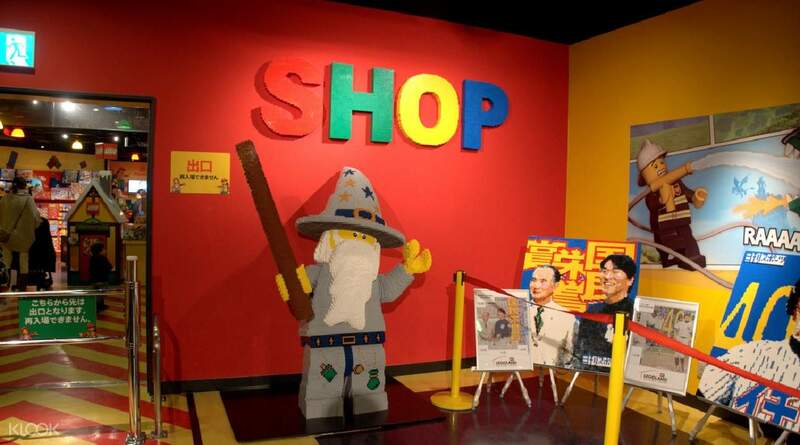 Few Tokyo attractions made by lego coupled with 4D Cinema and playground. Kids can spend few hours playing and building lego there. 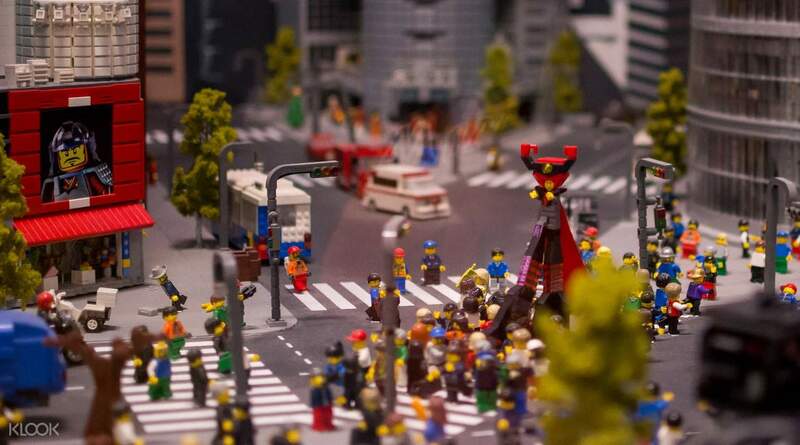 Few Tokyo attractions made by lego coupled with 4D Cinema and playground. Kids can spend few hours playing and building lego there. It was fun, especially for my 11 year-old son. Not hard to locate as it was in a mall across the Tokyo Teleport station. It was fun, especially for my 11 year-old son. Not hard to locate as it was in a mall across the Tokyo Teleport station. Eventhough the space is limited but surprisingly a lot of activities inside. My child and even my wife enjoy the activities inside this Legoland Discoveries Center. Eventhough the space is limited but surprisingly a lot of activities inside. My child and even my wife enjoy the activities inside this Legoland Discoveries Center.